The Financial Reporting Council's Code - released this week - would do nothing to stop collapses like Carillion or BHS. The daily parade of corporate scandals shows a real need for law enforcement, reforms and action to check corporate excesses. This week we saw an official response to those calls. All we got though is a revised Code of Corporate Governance by the Financial Reporting Council (FRC), a body responsible for regulating accounting, auditing and corporate governance. The FRC is funded by big corporations and accounting firms, and its board and committees are dominated by the same. It seems the new Code reflects that. The new voluntary Code is fatally flawed. 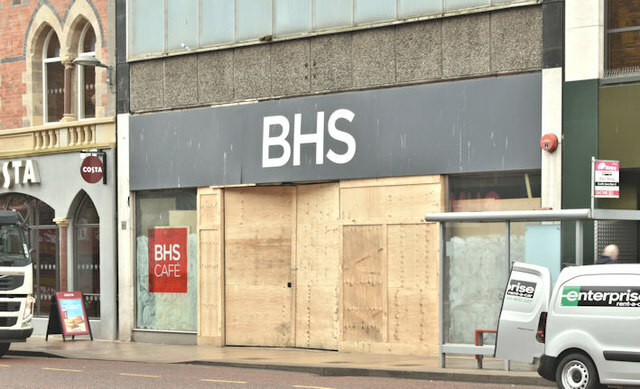 It will apply to public companies with a ‘premium listing’, and thus the equivalents of BHS – which was a private company – would remain beyond the Code’s scope, even though it had 11,000 employees. In everyday life, we all face rules and laws based on the principle of “comply or else”. Just consider the consequences of not paying credit card or insurance bill on time, or infringing someone’s right to peace and quiet by holding late night parties. People have to face the consequences. Yet corporate elites think that it is their birth right to have toothless regulatory arrangements. The FRC obliges and the Code continues to be based on “comply or explain” basis, which means that directors need to add a limp note to annual report to say that they are ignoring some recommendations. A “comply or else” policy can only be applied if there is a statutory framework. The Code has no statutory basis and can’t be enforced by courts. Indeed, the whole thrust of the Code has been to prevent the development of necessary laws to shackle executive excesses. The UK does not have a central enforcer of company law. All the banks bailed out during the 2007-08 crash had non-executive directors (NEDs), often friends of executive directors, working for one/two of days a month for megabucks. None blew the whistle of frauds, fiddles or reckless risk-taking. BHS and Carillion had non-exec directors too – and they were utterly ineffective in invigilating the company. Yet the FRC Code promotes NEDs as the solution for checking corporate executives. During her campaign to become Prime Minister, Theresa May promised to check corporate excesses by putting employees and consumers on company boards. Under pressure from the Confederation of British Industry (CBI) and the Institute of Directors (IOD) she reneged on her promise. If NEDs are to be retained, at least they could have been elected by employees and consumers. But the FRC does not recommend that: any kind of wider stakeholder representation at company boards is an anathema to the government, CBI and the IOD though it is a common practice in most European countries. The Code recommends that companies nominate an executive or a non-executive director to engage with the workforce, and report to the board of directors – showing compliance with Section 172 of the Companies Act 2006, which requires directors to have regard for the employees, suppliers, customers, the community and the environment in making their decisions. There is nothing new here: any company with a will to survive should already be paying attention to staff skills, training, turnover and morale, customer concerns, the need for a steady supply chain and the impact of its practices on the environment. If directors are not already doing that then are failing to comply with their statutory duties. Nominating a director to represent the workforce does not do anything for corporate accountability. It does not challenge the groupthink pervading in boardrooms. Only directors directly elected by employees or consumers can inject the worldviews of these stakeholders into corporate decisions. It is hard to recall any shareholder-elected director safeguarding employee pension rights at Carillion or BHS, or employee working conditions at Sports Direct, or preventing mis-selling financial products at banks, or objecting to tax avoidance at numerous companies. The revised Code says that in setting executive pay, remuneration committees should have regard for the pay of the workforce. There is no enforcement mechanism and no place for workers on remuneration committees. The Code also perpetuates a shareholder-centric model of corporate governance, even though shareholders in listed companies have a very short-term interest and effectively function as traders and speculators rather than owners. A report by the Parliamentary Commission on Banking Standards on the 2007-08 banking crash concluded that institutional investors were “scarcely alert to the risks to their investments prior to the crash, but were mesmerised by the short-term returns and let down those whose money they were supposed to be safeguarding”. And the Commission on Banking Standards, headed by Conservative grandees Lord Lawson and Andrew Tyrie, recommended that “the Government consult on [amending]…the Companies Act 2006 to remove shareholder primacy in respect of banks.” Such calls are ignored by the government and the FRC. The recent BHS and Carillion scandals highlighted the FRC’s deficiencies and conflict of interests. Its failures persuaded legislators to describe it as “fatally flawed”, “toothless” and “useless.” This is a very apt description for its revised code of corporate governance too. It will be incapable of checking corporate excesses. Only a statutory framework with a robust central enforcer of company law can begin to do that.